Gas debit cards are types of debit cards that are restricted to purchasing fuel. Some gas debit cards may only be used at specific gas stations while others can be used to purchase fuel at any station. For example, business gas debit cards from Visa can be used at any place that accepts Visa credit cards. The purchases that are made are subtracted from the owners’ checking accounts, allowing them to more easily track their fuel expenses. How does a gas debit card work? Fuel debit cards can be used to pay for gasoline at the pump or inside at the register as long as the station accepts credit cards. You simply insert them into the card readers and purchase gas for your vehicle. When you buy fuel with a gas debit card, the money that is spent comes directly from your own funds. This means that you will not be charged interest or have to worry about paying off balances at the end of each month. Because of the size of the country, Americans are very reliant on their ability to drive to get where they need to go. 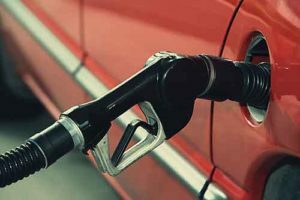 According to the U.S. Energy Information Administration, people in the U.S. used 142.98 billion gallons of finished gasoline in 2017 alone. As of Oct. 12, 2018, the average cost per gallon of regular gasoline was $2.07. Using fuel credit cards may offer businesses and consumers some relief when prices climb. Unlike a gas debit card, a fuel credit card is a type of credit card that is issued by gas stations. When businesses use gas cards, they might be able to pay for their fuel at the pump or inside of the stores. Some gas cards also offer perks such as discounts or cashback rewards. How does a gas credit card work? To get a fuel credit card, businesses and people must apply and qualify with their credit scores. The cards work like other credit cards, but most can only be used at specific fueling stations. When you pay for gas with a fuel credit card, you are actually being loaned the money for the purchase. Fuel credit cards may offer discounts, but it is important to understand that they also charge high rates of interest. Most fuel credit cards charge interest rates that are seven or more points higher than the average charge for general purpose credit cards. As of April 2018, Market Watch reports that the average interest rate that was charged for fuel credit cards was 23.61 percent. Who can benefit the most from owning and using a gas credit card? Gas credit cards may be easier to qualify for than other types of fuel credit cards. This might make them good choices for people who are trying to build their credit. While some fuel credit cards offer rewards such as discounts on the price of gas, the rewards are often introductory offers. 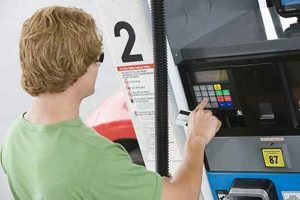 Consumers might benefit by getting fuel credit cards before they leave on long trips to save money on their gasoline. However, the cards might not make sense for businesses and consumers to use in the long run unless they pay their bills in full every month to avoid interest charges. What makes a gas credit card different than a gas debit card? To get a fuel credit card for your business, you have to complete a credit application. The issuer might ask you for a personal guarantee of any amounts that are charged on the cards in case the balances go unpaid. When your credit is checked, it may cause your score to drop. Credit cards also may charge high rates of interest and annual fees. Gas debit cards do not require credit checks because they are not linked to lines of credit. When purchases are made with the cards, the costs are subtracted from your own money. The gas debit cards do not charge interest or high annual fees and can help your business stay within its fuel budget. Why are so many businesses using fuel debit cards? Many companies are turning to gas debit cards so that they can get their spending under control while also helping them to prevent fraud. Some businesses prefer gas debit cards because purchases with them do not add debt. 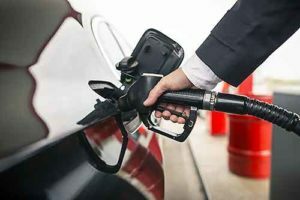 Businesses may also like the fact that they can be restricted to purchase gasoline only, helping to keep employees from using them at other stores. Debit cards give businesses the flexibility to make purchases whenever they are needed rather than needing to use reimbursement processes or requisitions and approvals. The spending on the cards is more transparent since businesses are able to review the transaction data on their statements. Using gas cards can help you to reduce your business’s spending. Cards that are restricted to gasoline but that can be used at any gas station may help to cut costs by allowing your employees to fill up anywhere rather than having to drive out of their way to find a particular station. Using gas debit cards can also help you to avoid paying high rates of interest and annual fees, both of which can contribute significant amounts to your debt. When you use gas cards, you can also end reimbursement processes, saving the time and money that you would have spent to process the requests. Some gas cards also offer features that can help you to prevent unauthorized purchases and to reduce your risk of fraud. For example, the Bento for Business Visa debit cards can be restricted to fuel-only purchases. If your employees try to use the cards at other types of businesses, the cards won’t work and you will see that they made the attempt. Using cards can also help to avoid the problem of reimbursement fraud. Some employees may try to submit inflated expenses or some that are outright fraudulent. The cards from Bento let you get rid of expense reports and reimbursements completely so that you can reduce the chances that you will be a victim of fuel fraud. Where can I find a fuel card? Bento for Business is a company that offers robust expense management solutions with its business Visa debit cards. The company lets you place restrictions on where the cards can be used, how much each employee can spend, and when they can be used. You also have 24-hour access to your transaction data and can turn individual cards off remotely with the touch of a button on your mobile device. Bento lets businesses try out its cards for 60 days before they make a purchasing decision and has a variety of different packages from which to choose. To learn more, call 866.220.8455.